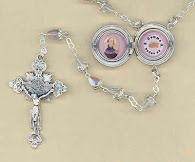 This article is in honor of the "Year for Priests" requested by Pope Benedict XVI, which begins on the Feast of the Sacred Heart of Jesus, June 19, 2009. 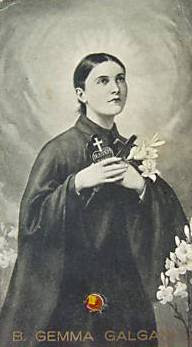 It is taken primarily from the rare book “A Lover of the Cross –St Gemma Galgani” published in 1940 by the Passionist Nuns of the Monastery/Sanctuary of St Gemma in Lucca, Italy. Gemma, who knew many of the secrets of the King, knew thouroughly well that those who, at times, most saddened the Heart of Jesus, were the ones who being consecrated to His service, should be enterely His. They, above all, should be the victims of His love and be the one's who especially make love and reparation the essence of their lives. However, such a most beautiful sacrifice is marred whenever such consecrated ones are slothful and cold, or in the extreme cases, deliberately sinful. “How much ingratitude and wickedness there is in this world! Sinners continue to live obstinately in their sins ... My Father will no longer bear them ... Depraved and weak souls do not have the strength to overcome their sins ... Afflicted souls fall into confusion and despair ... The fervent have be­come tepid ... And, the ministers of my Sanctuary ... I have entrusted to them the great work of assisting in the Redemption... My Father will no longer tolerate even them*... I continually give them light and strength, and on the contrary they!... These whom I have looked at with predilection, whom I have always regarded as my most dear ones! ... ". Father Germanus is entombed near to St. Gemma in the Santuario-Monastero di Santa Gemma in Lucca, Italy. He has been officially declared “Venerable” by the Roman Catholic Church. 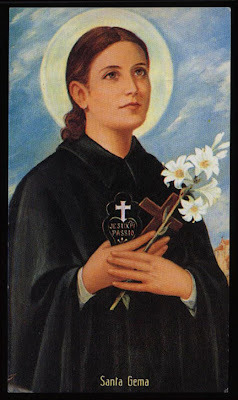 Gemma, notwith­standing her "inspired" knowledge about the offences that some consecrated souls bear to Jesus' Heart through the opprobium of their selfishness and the lack of fidelity and fervor in His service, kept always in highest veneration all priests. She was ready to be taught by even the least of them, and she generously lived and sacrificed in reparation for those most dear to the Sacred Heart. 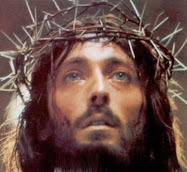 "Woe to them, and to the one who guides them, if they refuse to do as Jesus wishes! If they refuse to hear His voice, they will very soon be sorry for it, but it will be too late, because Jesus will no longer grant that Community the peace of the past. Discord will increase among them daily, and they will soon be forced to separate." We can speculate that these words probaly came from her guardian Angel, who spoke to and guided her frequently. However, Ven. Father Germanus concludes: "Happily, those nuns listened to Our Lord's voice. They looked to their eternal interests, and the peace of Christ was established again in their midst. All this was due to the prayers, dolorous expiation and zeal of one who only wished to be called 'Poor Gemma.' "
And from her place in heaven may she continue to obtain from God mercy and pardon for all of us here on earth. 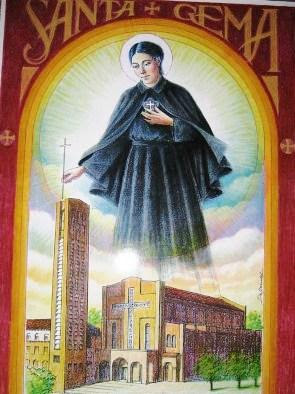 St Gemma , pray for us! Finally, let us thank and bless God for the countless Priests and Nuns who by giving completely of themselves out of love for God, continue to obtain mercy and forgiveness from Him on behalf of all of us. Our Lady of America came to us in 1956 with a great concern for her priests amid her call for purity in our lives. Please read her messages and learn what you can do to help foster this canonically-approved devotion to Our Lady under this special title. Priests are human like us, and they need our sacrifices and our prayers. Thank you Glenn for posting this very informative post! You are very right that Priests need our sacrifices and prayers. And we are called to do this especially now, as we have just begun the "Year of the Priest" as requested by Pope Benedict XVI. If Gemma sweated blood for a whole month for Priests, then we at the very least should offer a sacrifice of prayer for them as much as possible, and it seems to me that we should also thank God often for our Priests, who make Christ present among us. Keep them O Precious Lord, keep them for they are thine. Thy priests whose lives burn out before thy Eucharistic shrine. Keep them for they are in the world though from the world apart, when earthly pleasures, tempt, allure shelter them in thy Heart. 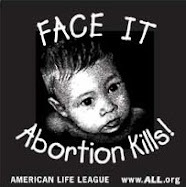 Keep them and remember Lord they have no one but Thee, but they have only human hearts with human fraility. Keep them spotless as the host that daily they caress, their every thought and word and deed deign dearest Lord to Bless. Every day I learn new facs of St. Gemma. Like today I learnd that my beloved Gemma sweatted blood for a month for the priests. On the day that our good God allowes me to see her from face tot face, I only want and only can say to her: "thanks..."
One of her prayers, translated in Dutch, helps me every Eucharistic adoration to obtain deeper knowledge of our King en my Lord Jesus Christ. 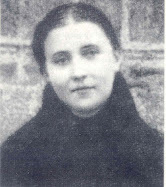 I am thankful to St Gemma that she learns me how to pray and that she keeps me, praying her words, with two feet on the ground looking for the way our good God has provided for me. With the praying bride of Jesus St Gemma on my side, I hope to be a priest to His Hart once. I realy hope the day of my ordination, the cathederal choir sings her name in the All Saints litany. Thanks for sharing a bit of your story with us. It is really wonderful to hear of your devotion to St Gemma and also that you are studying to be a priest. I pray that St Gemma may be your special advocate and friend, and may she lead you ever deeper into the Sacred Heart of Jesus. Yes, Gemma sweated blood for a whole month for Priests, and may one of those drops be for you, just as you say.